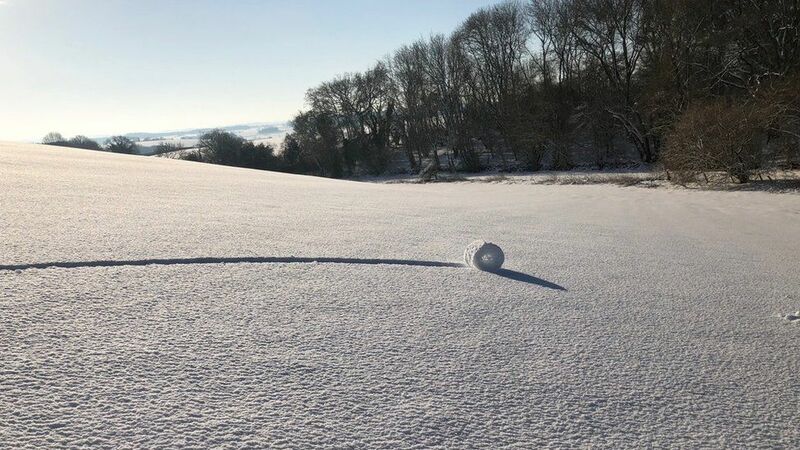 A rare natural phenomenon which makes it look like wheels of snow have been rolled on their own has been captured in photos. 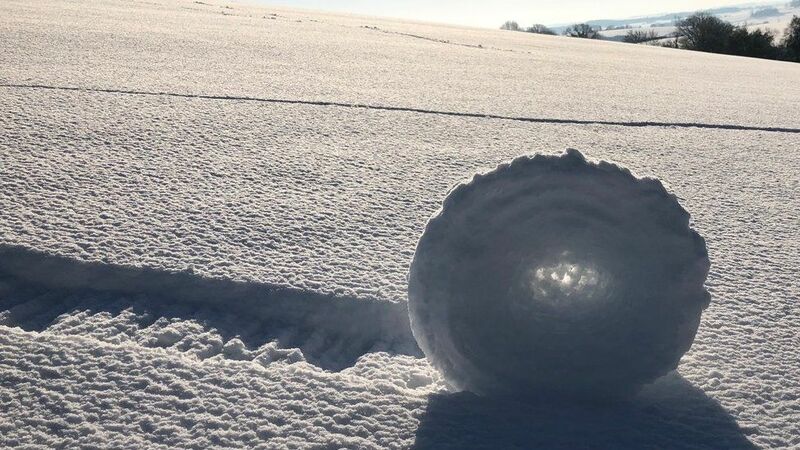 Six rare "snow rollers" were spotted by Brian Bayliss in Wiltshire. He said he spotted them in a field he owns and at first thought they had been manmade but there were no footprints. It is thought the bales are formed when wind conditions are ideal to blow chunks of snow along, picking up more snow along the way. Forestry worker Mr Bayliss, 51, said he had "never seen anything like it before" and when he got closer he "could see the sun through the middle, and they just made no sense". 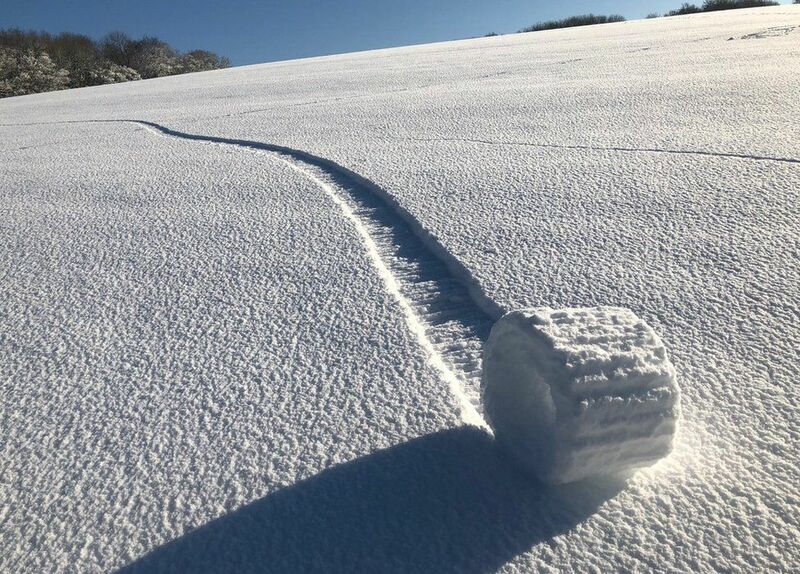 BBC weatherman Ian Fergusson said it was "very rare" that conditions were so perfect that snow rollers could be formed. 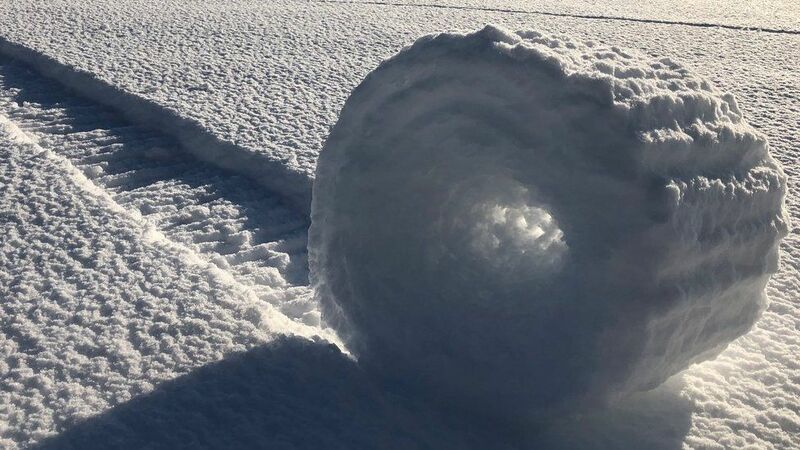 "These are truly beautiful photos of a very rare meteorological phenomenon - called snow rollers or snow bales. Brian was very lucky to see these," Mr Fergusson said. "Conditions have to be just right for snow rollers to occur: a smooth, unvegetated hillside, such as in this case near Marlborough, enhances the chance of them being formed. "A layer of thin snow, settled atop existing ice and not sticking to it, combined with specific temperature, moisture level and wind speed, are fundamental to the creation of these natural oddities." If the wind is too strong, or too weak, or the snow is too tightly packed, snow rollers will not form. The resulting snowballs look like a hay bale, a doughnut or a Swiss roll, and can be hollow inside. If it were hoaxers they left no footprints. Seen this only once and it was a wonder to behold. Rare white deer spotted in London, Ont.